Organizations are doing business in new ways, thanks to new IT infrastructure technologies like virtualization, cloud computing and mobility, which are changing how users interact with information and with each other. As the enterprise becomes more interconnected and distributed, business agility increases; but information security specialists face new challenges around maintaining effective security and monitoring controls. 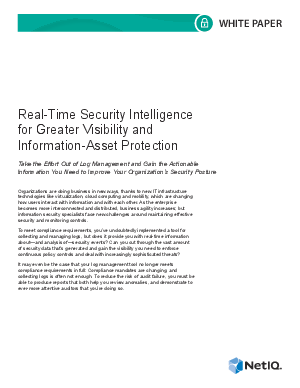 Download this white paper and take the effort out of log management and gain the actionable information you need to improve your organization's security posture.